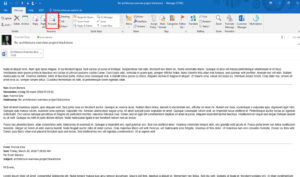 Do you recognize the situation that you have a Team in Microsoft Teams and members of the team keep sending you emails instead of using the chat and collaboration functions in Teams? 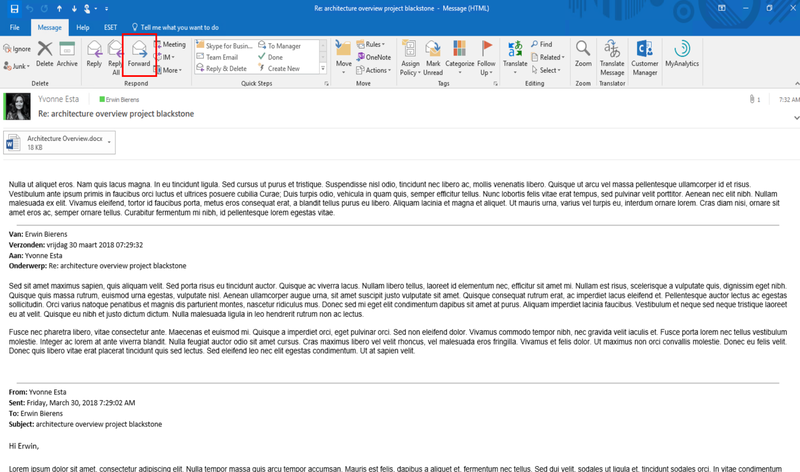 You can now move your email conversation including the attachments to your Teams channel and continue the conversation in your Teams channel. 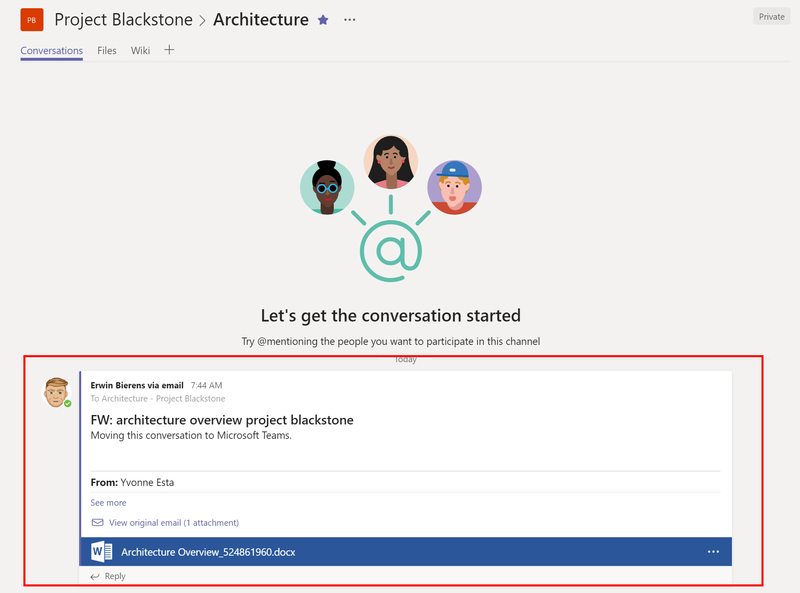 Go back to your Outlook client and forward the conversation to the email address, because you are using a “Architecture - Project Blackstone” email address, everyone in the channel will be notified by the activity feed. Now you can continue the conversation with all of the team members including the content. No let’s forward the email to the channel, make sure the “FW:” is in the subject. As you can see in the screenshot below, you conversation including the attachment is now in your Teams channel. At this moment of writing this function “Get email address” is only available in the desktop and web client. So not on Android and iOS.